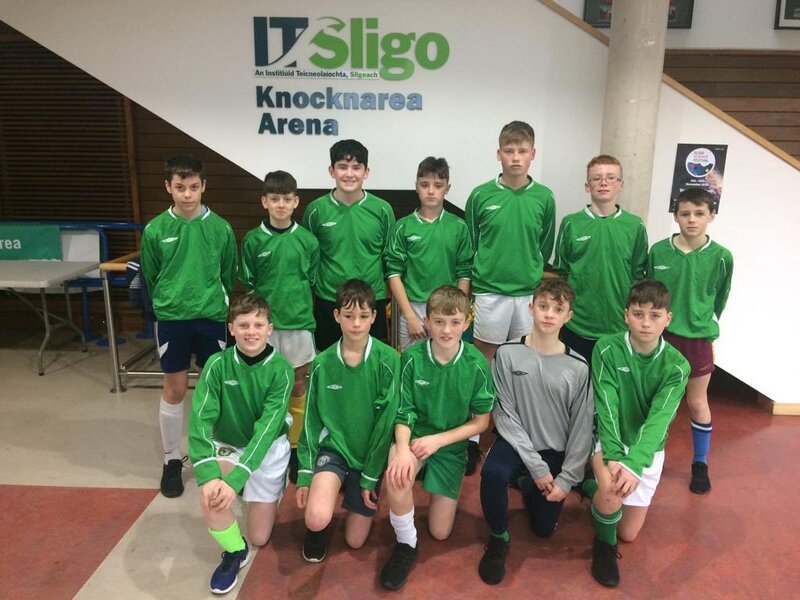 ST. ATTRACTA’S CS, TUBBERCURRY, SLIGO (Girls) & ST. LOUIS CS, KILTIMAGH, MAYO (Boys) secured top spot at the FAI Post Primary School First Year Connacht Futsal Finals in IT Sligo this afternoon. 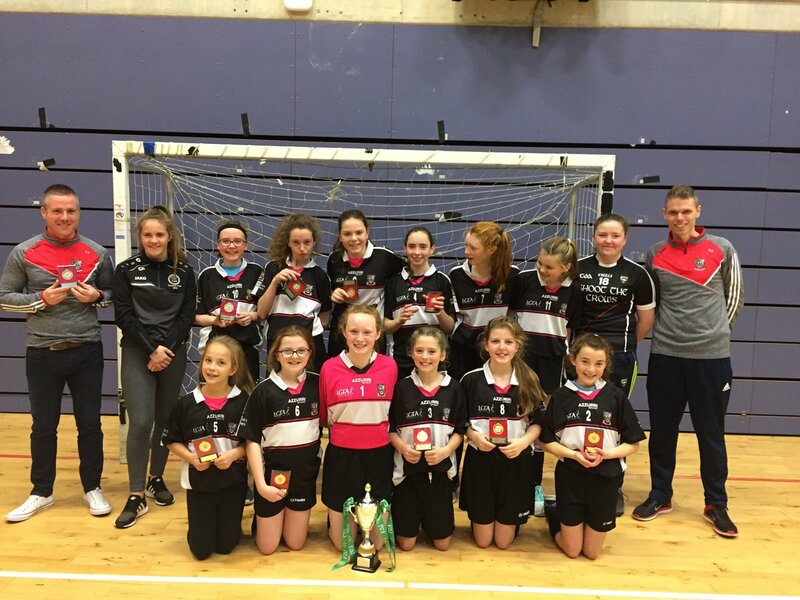 The Tubbercurry outfit were defending Champions in the girls division so there was plenty of pressure on the host team to deliver on the provincial stage as they faced Dominican College, Taylor’s Hill in their opening clash. The new look side were inspiring and enjoyed a comfortable 5-2 victory over their talented opponents. Little did they realise that this would be the crucial game to decide the winner. 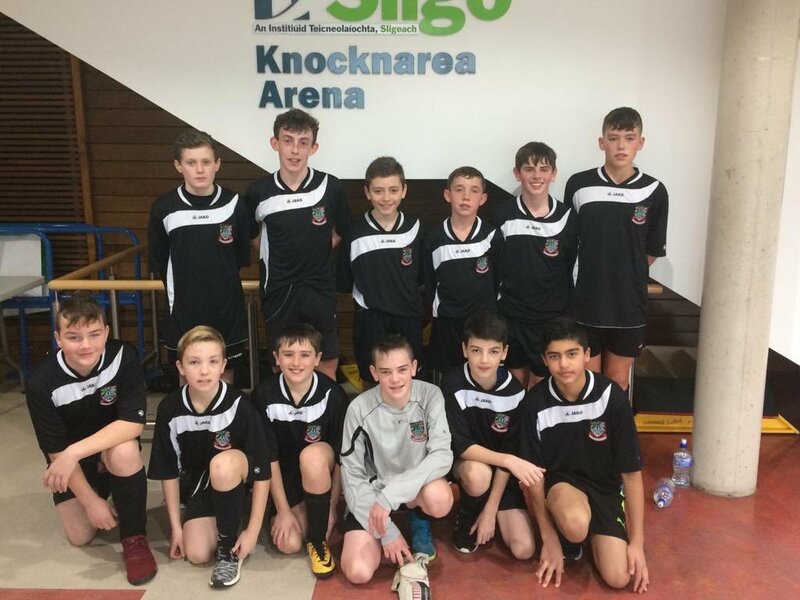 St. Attracta’s dispensed of Manorhamilton crew St. Clare’s 3-0 while they dropped points in their penultimate game against St. Joseph’s SS, Foxford when they finished 3 apiece. 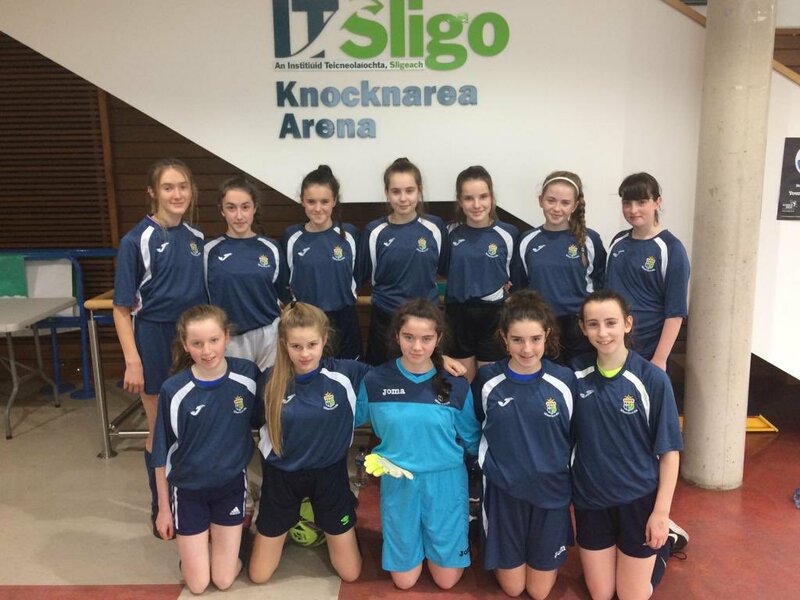 The Sligo Champions refocused and came out 5-1 winners against Roscommon’s Mercy Convent with 10 points bagged. Dominican College were equally as impressive with three wins under their belts, the crucial defeat right at the start of proceedings ensured runners up spot on the day as they finished on nine points. Not a bad outing for the Galway girls. 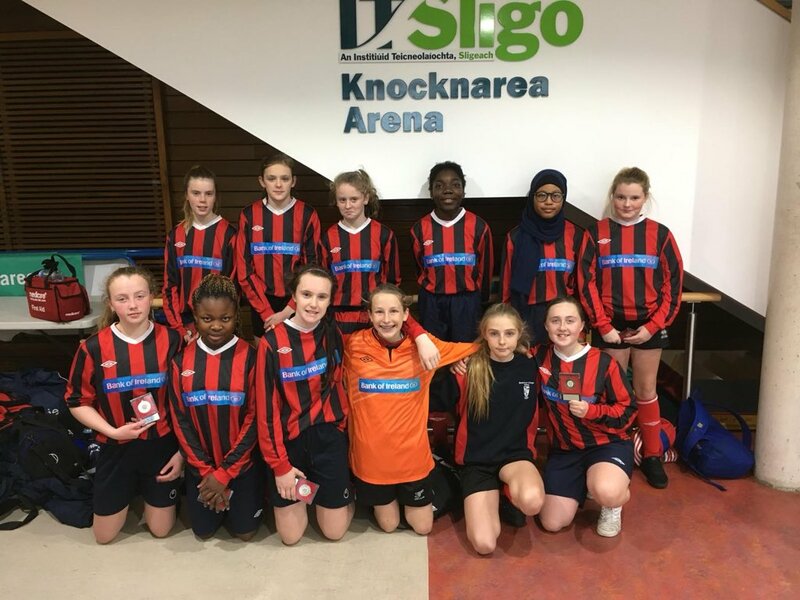 St. Attacta’s Community School will now look forward to the National qualifiers which saw them grab a silver medal last season in Waterford. Can they go one better on December 4? 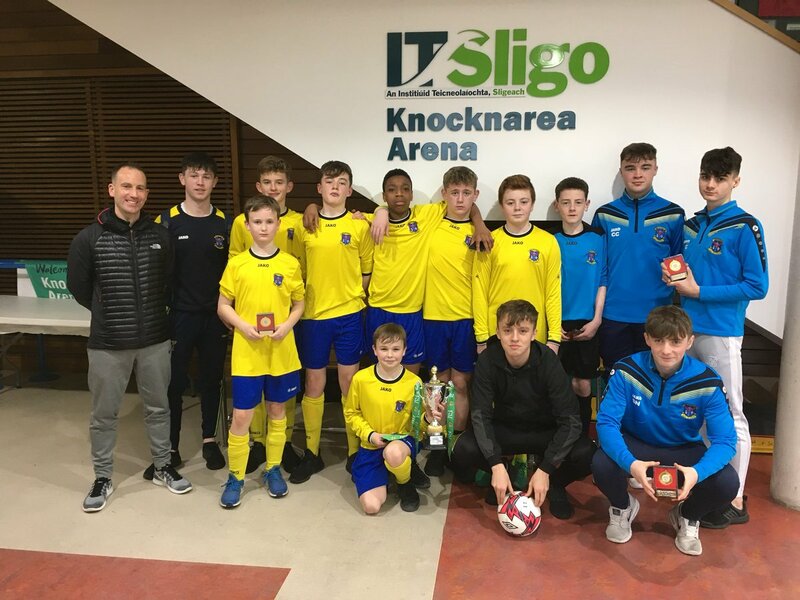 Carndonagh Community School who also qualified last season will be joining them as they came through the provincial ranks on Tuesday in Letterkenny. The Munster and Leinster deciders will take place next week to determine their opposition. St. Attracta’s had the unique opportunity of securing double Cup success as the boys lined out this afternoon. They were up against some solid competitors with defending Champions St. Joseph’s College, Galway also in contention. It was these two teams that kick started the event which finished scoreless. A rare result given the amount of goal scoring chances created by both teams. Out of the ten group games, five ended in draws which left things interesting. 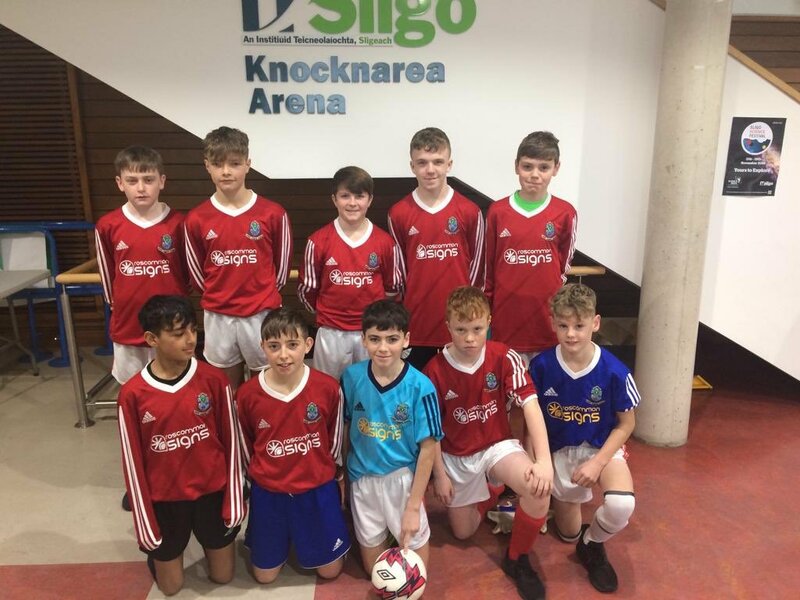 The next game saw St. Louis CS finish all square with CBS Roscommon on a 2-2 scoreline but it was St. Attracta’s CS who got off the mark when they finish 4-1 winners against Mohill CC to take a slight lead in proceedings. The Bish drew two all then with CBS Roscommon while St. Louis pulled off a narrow 3-2 win over St. Attacta’s to claim a little momentum in the table. The Leitrim lads surprised the title holders when they came out 3-2 winners while St. Louis gained some confidence and took another value three points, this time as the expense of Mohill defeating them 4-1. 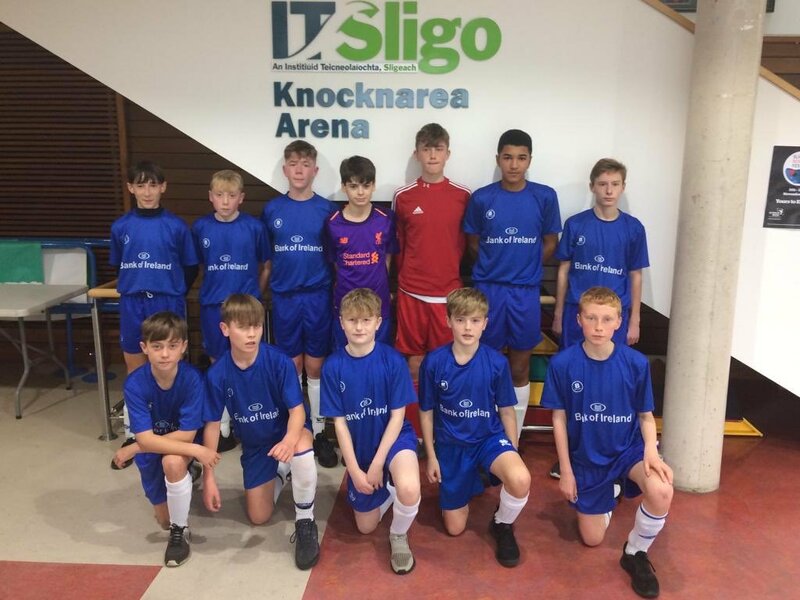 Another two draws followed with St. Attracta’s and CBS Roscommon level with two each while St. Louis and the Bish shared the spoils in a six goal thriller. CBS Roscommon rounded off the day with a slender 2-1 victory over Mohill to take their tally to 6 points. With plenty of challengers dropping points to each other, it was St. Louis Community School who edged it on eight points with two wins and two draws. 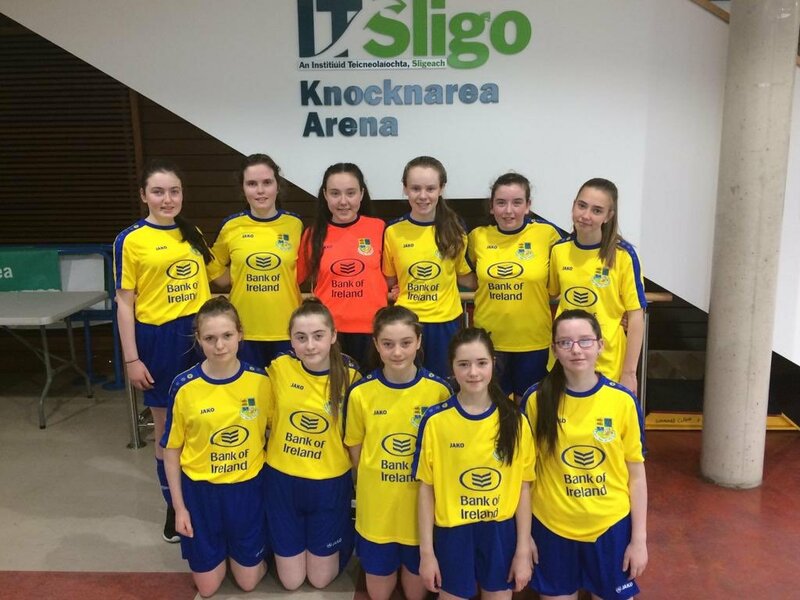 Runners up CBS Roscommon saw them pick up silver following one win and three draws in the drama filled outing. St. Joseph’s College finished with five points secured, and thus relinquished their provincial crown as well as ambitions at National level which saw them finish fourth last season. No doubt, the Kiltimagh squad will relish the opportunity afforded to them to progress to the next stage. 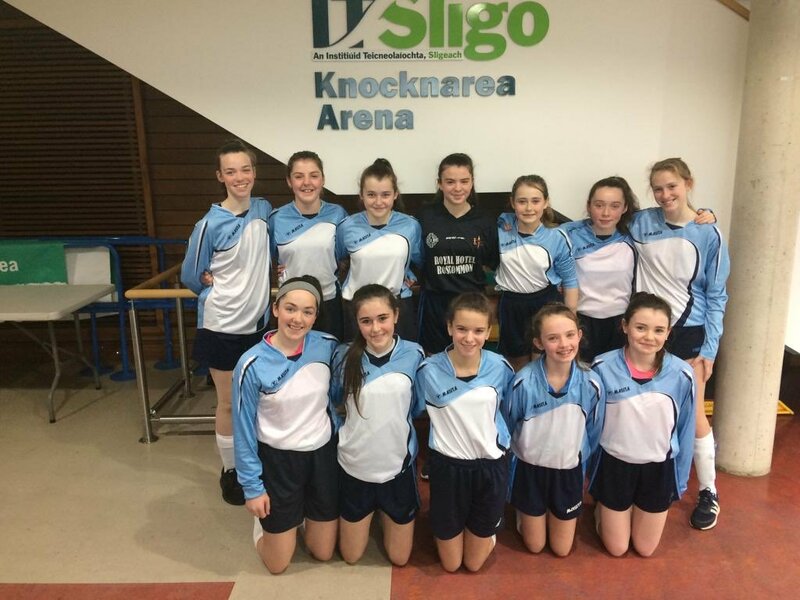 Ulster Champions, St. Columba’s College, Stranorlar booked their place in the showcase when they came through their qualifier on Tuesday. The duo will now await the winners of the Munster and Leinster competitions next week when they take to the courts.